La Casa de Esperanza’s mission is to provide opportunities to achieve full social and economic participation in society, with particular emphasis on the Hispanic Population. Founded in 1966 as History Builders, La Casa de Esperanza initially focused on the growing Hispanic community in Waukesha by providing educational services to help English language learners prepare and succeed in school. The organization's early emphasis on English as Second Language classes for adults was soon joined by La Escuelita, a bi-lingual pre-school created to prepare young Latino students to attend Waukesha Public Schools. These two programs formed the foundation upon which the tradition of education at the center of every program and service offered by La Casa was built. The founders of History Builders renamed it La Casa de Esperanza, or House of Hope, in 1968. Starting in the early 1970s, La Casa de Esperanza began to grow and expand beyond a focus on educational programs to services in areas such as financial literacy, workforce development, tax assistance and preparation, food services, youth arts, low income housing, and weatherization services. Today, La Casa de Esperanza is the largest human service organization in Waukesha County and remains fully committed to fostering an educated, impassioned, and free citizenry capable of achieving their full potential as individuals and Waukesha residents. Even as La Casa de Esperanza has expanded to include a diversity of programs and services, education has always been a primary focus. Our Education Programs include a thriving Early Childhood Education, School Age Education Program, Early Head Start (Center- and Home-Based) and Charter School for the children and youth in our community. We believe every person should have the opportunity to learn the necessary skills to secure satisfying employment in order to provide for their families. The Waukesha community directly benefits from these needs-based education programs focused on giving students the means to contribute to safe, productive, and prosperous cities. La Casa de Esperanza Early Childhood Education is a NAC accredited, FiveStar licensed early childhood education center that provides high quality early childhood education and child care for up to 400 children ages 6 weeks through four years. Our Early Head Start Program provides a strong foundation for school readiness. Our Before- and After-School Program provides homework assistance, and a variety of stimulating activities for school-aged children. Established in 2015, the La Casa de Esperanza Charter School is Waukesha County’s first independent Charter School. 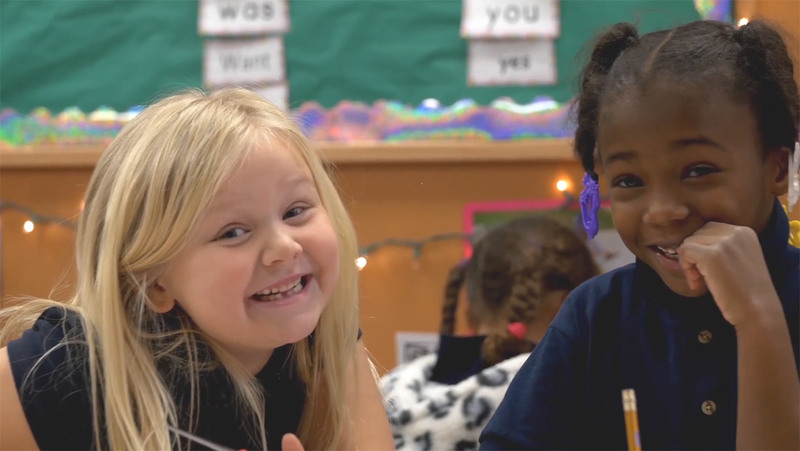 This full-service school features an extended school-day, English language instruction, a rigorous curriculum, year-round programming, a safe environment, character education, family involvement, and community partnerships. Small class sizes and uniforms contribute to the safe, secure, and caring environment. A team of extraordinary teachers and administrators creates and maintain a culture of high expectations and a no excuses environment. The school continually seeks out best practices for student achievement. Our charter school program includes physical education and social considerations in addition to academic development. We recognize that no education program can be effective without a foundation of basic physical and emotional wellness. The La Casa Charter School also believes strongly in nutrition and health and wellness. Students receive breakfast and lunch, as well as snacks. We also teach the importance of character on a daily basis. Showing respect for and interacting with students of different backgrounds, ethnicities, and nationalities prepares La Casa’s students to be successful in their schools, their careers, and their communities. La Casa helps more than 20,000 individuals and families annually through a variety of additional social programs and services to create positive change in the community. La Casa continues to transform every individual and family it touches, fostering hope and providing opportunities for a prosperous, engaged and connected community. Our Workforce Development & Financial Stability Program provides comprehensive employment assistance, financial literacy and financial stability services to low-income people seeking economic self-sufficiency. Our goal is to move people from poverty to financial stability to asset building (including home ownership.) La Casa cooperates with other nonprofit organizations, financial institutions, businesses and public entities to build collaborations for the Financial Stability & Asset Building Partnership of SE Wisconsin. This network implements strategies for families to gain further financial stability. The Weatherization Program identifies energy waste and provides cost-effective, energy saving measures and education to low income residential households. On average, low-income households spend nearly 14% of their annual income on energy, compared to 3.5% for other households. Thousands of homes have been made more energy efficient by the Weatherization team. The average dollar savings is significant for low-income families.